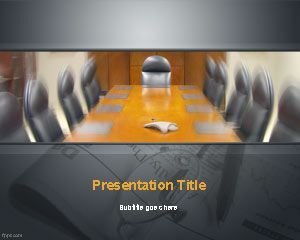 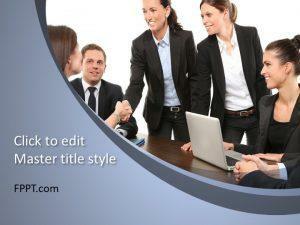 Meeting room template for PowerPoint is a good background for meetings and online conferences. 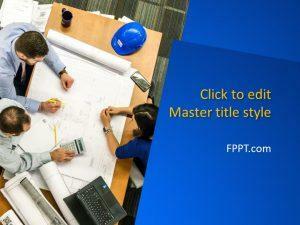 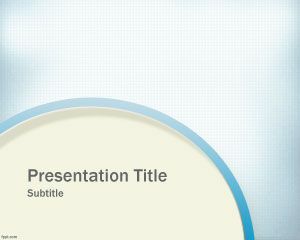 You can download this free PPT template for online meetings and conferences using Microsoft PowerPoint. 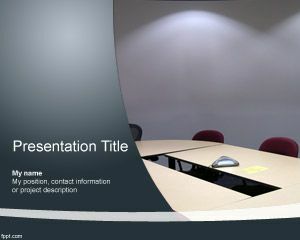 The design template with meeting room table is a light template for business presentations on meetings, you can use this free meeting template for annual meetings and conferences as well as interviews in the company or even daily Scrum meeting. 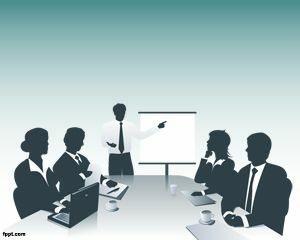 There are other meeting techniques and variants that use a stand up meeting with the sole purpose of making the people to stand up and pay attention on the meeting. 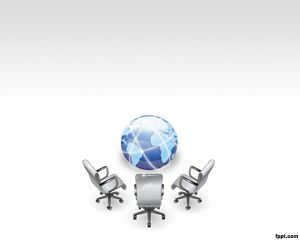 You can learn more about the importance of the daily meeting so you can control the flow of daily meetings effectively, there are some nice techniques including the team mascot or other items that help to control the daily meeting.